MarketerMaker founder, John Wilson was interviewed by cool new group texting site GroupTexting.com. John Talks about his business and gives a few email marketing tips. You can see the interview here. (Me vs You) What weapon would you pick? What advantage would you pick? “A crowd of hungry people”. Seems stupid-obvious when you think about it, doesn’t it? It’s absolutely no different when it comes to online business either. And all too often, we join an opportunity or an MLM and we’re given a great product to sell and a great sales page (if we’re lucky) and we’re wished “good luck”. Well, what if you had a tap you could just turn on and out would gush a stream of these “hungry buyers” Gary was talking about? Well, what if I told you, I can give you access to that tap? Within minutes from now, you could have those hungry “opportunity seekers” kicking down your door, begging to do business with you. P.S. The post above was an email that went out to my list; if you’d like to get internet marketing and business tips of the less-ordinary variety to your inbox every day, simply sign up here. So, unless you’ve been living under a rock these last few days, you’ll know that Kim Kardashian was robbed in her Paris hotel room this week and had over $10 million worth of stuff stolen (including her giant diamond engagement ring that Kanye gave her). You see, the local police believe the robbery to have been an “inside job”. In their words “it was the perfect opportunity on every level”. But I want you to ask yourself: when it comes to making dineros online, do you want to be the guy (gal?) stumbling about in the dark and getting nothing or the one finding the “jewels” every time? Sadly 99% of folks who try online bidniz fall into the “stumbling about in the dark” category. But if you want to give yourself the best chance of being a 1%-er then jump into something that’s tried and tested. Jump into something that has everything you need to succeed on a silver platter (plus my support). Jump into something that paid out over $517,288 to its members in a single week, during launch. And I guarantee you will not be stumbling about in the dark. SocialAdr® Review + BONUS = Use the Social Media “Force” to Rank Your Stuff! This SocialAdr review is fresh for 2019 and is pretty thorough so strap yourself in! Does it actually work to improve SEO rankings? ​I will also be revealing an exclusive SocialAdr bonus that you won't find anywhere else! I totally get her struggle — I am also a bit of a workaholic and I understand how hard it must be, having a burning desire to work but not knowing where or how to apply your energy. There are so many ways to make money online and in a way that’s part of the problem. The method you choose depends very much on your skills and personality and, not knowing her, I don’t know what these are. But what I *can* do is reveal what worked (and continues to work) for me. The first success I had online was with an authority website (in the property investment education niche) I built on the SBI! platform. To date this is the single most profitable online project I have done and I have since used it to build a great, sustainable business. The site I built generates affiliate revenue but most importantly, I used it to build a list (a list is arguably the most valuable asset you can possess in online business), which grows by anything up to 20 fresh leads every day, on autopilot, with free traffic. I then promote products, services and training to that list as an affiliate. Sounds great. But it was a heck of a lot of work. To make SBI! work, you gotta like writing. Notice I said “like”, not *be good at*. You don’t have to be good at writing, they teach you that. You just need to like it. Or at least not mind it, anyway! The core of what I do is really email marketing. 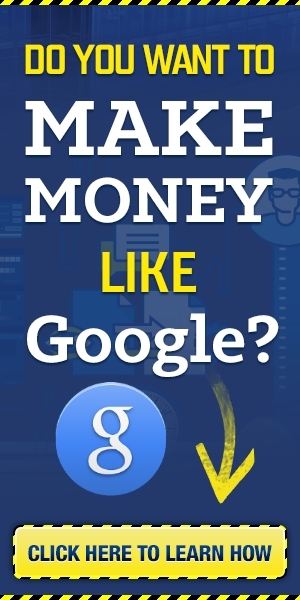 In the IM niche, I get some leads from my Marketer Maker blog but find it faster to build my list using paid traffic from the likes of Traffic Authority (review here) and solo ads, which I then store in my Pure Leverage autoresponder and promote various offers to, again as an affiliate. No. 1, I’m sorry that you’ve not heard much from me since you signed up. But now it’s time to get back to el hussle! And part of that means that I’ll be writing more emails. I’m aiming for one every weekday (gasp! ), so if you are shy of a few missives in your inbox of the “less ordinary” variety then do yourself a favour and unsubscribe right now by clickety-clicking the link at the bottom of this email. Otherwise, stay tuned for more of what you *need* to hear and less of what you *want* to hear. That is, fawning “X-purts” telling you “it’s not your fault” that you’re not making any dineros online (gimme a break, the day you wake up and realise it *is* your fault is the day you turn your fortunes around). But sadly most won’t and prefer to have their lug-holes tickled with that kind of Bravo Sierra. How many blog posts are there about how to earn money online? Perhaps. However, there is a problem. The majority of them are just sales pitches that are aimed at convincing you to register for some training session, webinar, seminar, or some other way to be a successful online entrepreneur. Many actually give online money making opportunities a bad reputation. Nonetheless, it is very possible to earn money online. I mean, the individuals selling all those multi-millionaire pitches are making money online, right?